A little trivia about healthcare in Mumbai: India’s Emperor Ashoka of ancient times was the first leader in history who attempted to provide healthcare to all its citizens. Today, India, with its center in Mumbai, continues to improve on health care delivery. And with its new-found niche in technology, the city is also testing the high-end, commercial waters of medical tourism. The IRDA (Insurance Regulatory and Development Authority) is a government department that promotes and regulates the insurance business in India. As of 2006, the public sector contributed about 76% in insurance premiums while private companies accounted for 24%. There are locally available policies and international health insurance, especially for expatriates. The government has taken measures to encourage foreign investment on health insurance in the country by raising the foreign direct investment limit from 26% to 49%. Expenditure on healthcare was pegged at 320 Indian Rupees per capita, of which the major contributors are private households, accounting for 75%. The state government contributes about 15.2%, the central government about 5.2%, and employers about 3.3%. The major allotment of healthcare expenditure is on primary healthcare (preventive and curative measures) which accounts for about 58.7%, while 38.8% goes to secondary and tertiary (inpatient) services. The cornerstone of healthcare in India are the health centers. These health centers provide first-aid care and routine medical care and allows for more complex medical cases to be referred to bigger hospitals. The country has about 22,400 health care centers. India has about 11,200 hospitals and 27,400 private health clinics, giving a ratio of about 10 beds for 10,000 individuals. It also has a ratio of four medical practitioners per 10,000 persons. Mumbai has about 17 municipal hospitals, 1,000 healthcare centers, and 22,000 hospital beds. Despite the availability of medical treatment through health centers and hospitals, indigenous or traditional medicine is still being practiced. Both the ayurvedic system which deals with mental, spiritual, and physical well-being, and the unani system which deals with herbal medicine, are both still widely supported by the Indian populace. Healthcare in Mumbai, like its economy, is a work in progress. The public healthcare system is currently faced with a lot of changes like the growing population and the limited budget. For expatriates who have international health insurance or have availed of local health insurance, you may opt to seek medical treatment or services in privately-run clinics or hospitals. Private hospitals in Mumbai do have better facilities, not to mention state-of-the-art technology. To add to that, you'd more likely be comfortable in an environment where the medical personnel can communicate in English, as is the situation in private medical facilities. One is also advised to seek out a general practitioner once you have settled in Mumbai. You may ask for suggestions from other expatriates at work. This would ensure that you have someone who you can easily communicate with and can readily consult with if the need should arise. Pharmacies in the city are many, and the rules are a bit more relaxed than European countries. 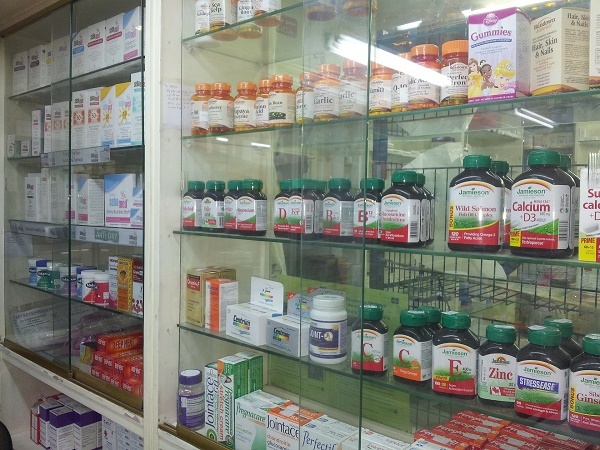 There are a lot of medical products that you can avail of over-the-counter, without a prescription. Pharmacies are normally open from 9am to 10pm, but there are a handful of 24-hour pharmacies in the city center. Medicines are inexpensive in India, but make sure to only purchase from licensed pharmacies to ensure any health repercussions. Keep in mind as well that the general climate in Mumbai is tropical, thus making you more vulnerable to the possibility of tropical diseases. Make sure that your vaccines for diseases like diphtheria, typhoid, and meningitis are updated. Mosquito repellents are best to have on hand and other preventive measures from mosquito bites must also be observed. Mumbai can offer you top-of-the line medical treatment, but it does have its challenges. The best tip for expatriates in Mumbai regarding healthcare: be open-minded, and always be ready with healthcare insurance.